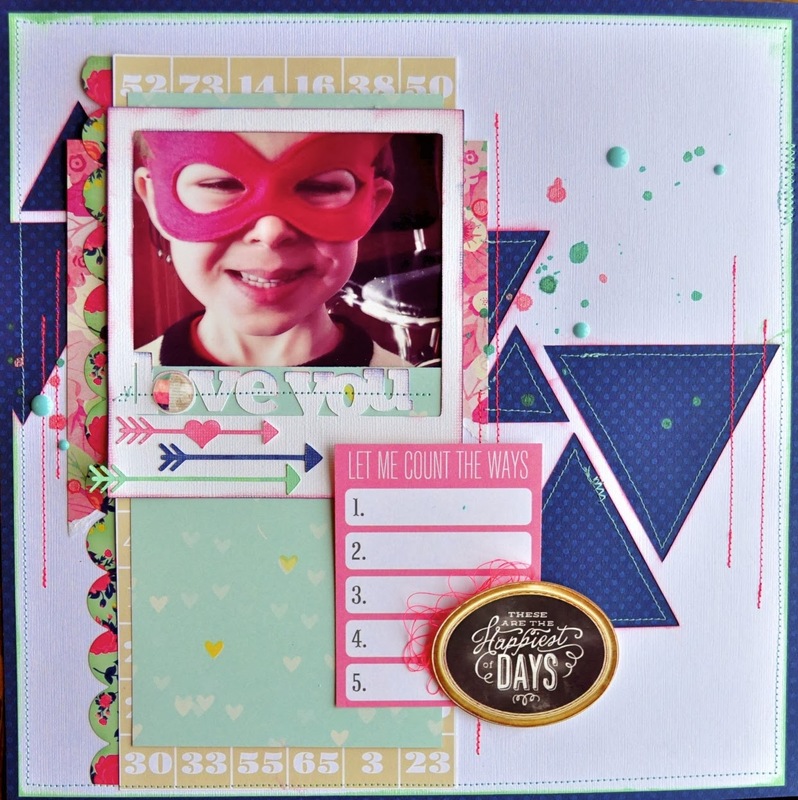 Creative Authority: Creative Scrappers Sketch #260 Reveal! 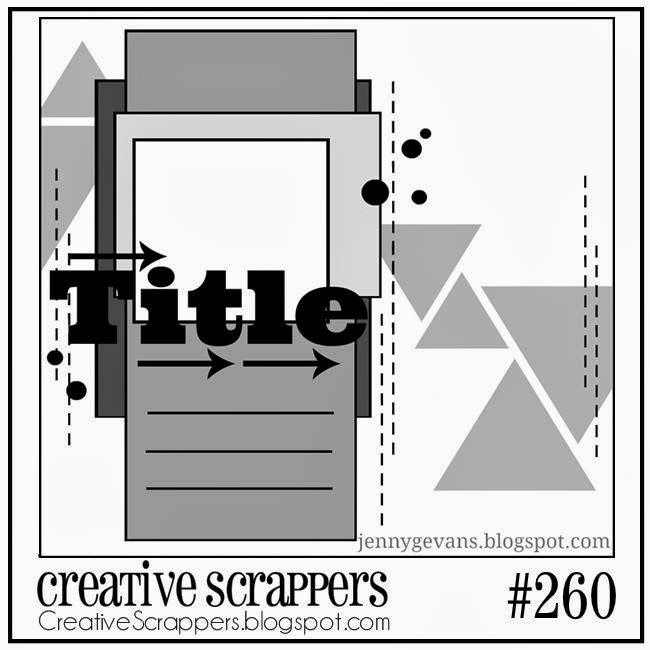 Creative Scrappers Sketch #260 Reveal! I was so thrilled to work with such an interesting sketch by Jenny Evanas. I love the triangles and used my Cameo to cut them out, layering a blue pokadotted patterned paper behind the white cardstock. This LO seemed to come together quickly for me which is usually not the case! I can ponder a LO for days before I actually put it all together and adhere it!! I also cut out the arrows and the "love you" polaroid die cut with my cameo which is becoming more and more part of my LO's and cards. There are some awesome takes on the sketch over on the Creative Scrappers Blog - make sure to head on over there and take a look. And when you are done your LO using the sketch, link it up for a chance to win a great prize by My Creative Scrapbook. Have a great Sunday! Jody, this is adorable!! That pic is just too precious! Great take on the sketch. You are the layering queen girl. I just love all the pops of pink throughout, doesn't take away from the boy feel at all. Love the outlines on the triangles. Such a small touch but really sets them off! Love your cute take on the sketch, Jody! And the Polaroid frame around the photo is such a great touch, and the Blue paper for the Triangles is awesome!